Media Molecule has just announced the release date for their upcoming Vita game, Tearaway. The US will be getting it first on October 22nd, while Europe has to wait an extra day for their chance. Australia and New Zealand will get theirs on October 24th, leaving the UK and Ireland for last. They get theirs on the 25th. 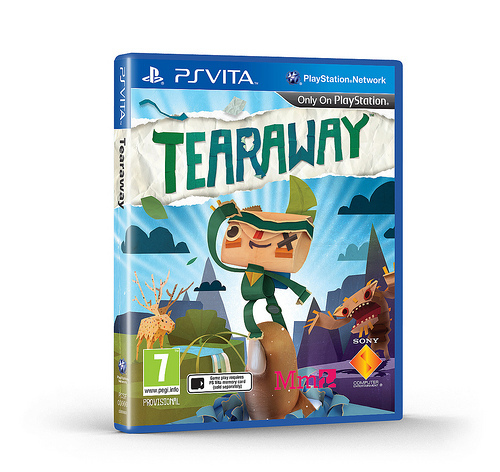 They’ve also revealed the final box art along with its reversible inlay. Taking a play right out of Mass Effect 3’s playbook, the default cover shows the male version of the hero, iota, while the reverse features atoi, the female version. See for yourselves below. 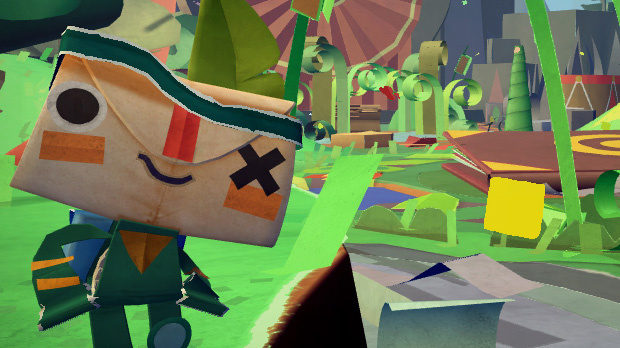 Tearaway has you playing as a messenger, either iota or atoi, trying to deliver a message to a rather special person: You. In this third person platformer, many objects can be manipulated with the Vita’s front touch screen or the rear touch pad. A side of a mountain might peel off to make a bridge, or by using the rear touch pad, you effectively poke your fingers into the world to move around objects like blocks or a rotating bridge. It even uses the Vita’s camera, mostly to create skins for various objects in the environment. It seems the only Vita feature it doesn’t utilize is the Vita’s motion sensor. Then again, we don’t know everything about the game yet.